Welcome to my 7th post (Part-1), this tutorial will explain about the basics of Batch Scripting. It is Batch not Bash, however they are quite similar. But Batch is a lot more easier to understand. Save it as anything.bat (.bat extension is important ) an run it. 1) @echo off: This command should be at the top(/header) of the script, it actually removes the trash/repeated command lines. Try to run the program again without this line and then you will understand. 3) pause: It inserts a pause in the script (This: Click any key to continue...), If it is not in the script then, The window will exit without you, being able to see anything. 4)exit: Exits the script/Terminates the script/Closes the Command window. echo Type 1 for fun! echo Type 2 for a bun! 7) :something: This is used give an address, a location name to a part of the script. 8) goto: This command is used for loops, when we specify a location name after the goto command, the script loops itself to that location. Eg: In this script, goto :menu tells the running script that return to start of the script where :menu has been used. 11) set /p : It is used to set a variable to accept some values which we input. Eg: If we set, lets say, a=1, then the value of a will remain 1, until the end of the script. We can display its value by typing: echo %a%. The value depends on what you have entered. 13)title:Just changes the title of the window. 14)cls: Removes trash and clears the screen. You need to have this knowledge to move to the advanced section and create malware and then upload it using kali. I'll show you each and every step of the exploitation, but for now Goodbye! And remember to keep coming back for the Next PARTS! Ah, yes. I made a script that logged all the files on the system and sent it to the attacker via FTP. Batch is so easy to use with social engineering. Thank You all, for likes, comments and appreciation, next part will be released today. Fantastic tutorial! I will definitely start using batch. On kali linux, I do not know how to run the file. I save it as a .bat, and when I try to open it, it opens in my text editor. Any ideas to make it open in terminal? 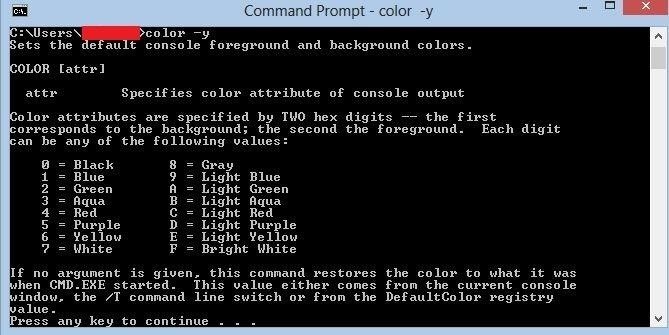 These are Windows commands. They won't work in Linux. Okay, thanks. I could probably find a batch interpreter for linux online. "Save it as anything.bat (.bat extension is important ) an run it." What do you mean by "Save it as anything.bat"?